Thank you!” for the prayers, encouragement, life lessons and stories you share with me! Somehow, you always seem to know when to reach out and encourage me to keep following Jesus! So today, I’m shooting for the second best thing and sending you this thank you gift: a hot off the press copy of the listening guide for The Unexplainable Church DVD Series! This is ONLY available to my newsletter friends because I want you to know how dear you are to me! To celebrate the release of this new DVD set, MoodyPublishers has also put together two incredible deals! The first is a Leader’s Kit which provides one copy of the DVD set along with a copy of the study book for only $25.00. This is like getting the book for FREE! The second deal they are offering is a Starter Kit which includes a copy of the DVD series along with ten copies of the study book for only $100! That’s only $7.50 per book! So, if you are looking for a Bible study for fall, I suggest you take advantage of these offers while they last! The DVD series includes ten thirty-minute sessions of new teaching material to accompany The Unexplainable Church study, along with a special video just for Leaders to help you facilitate with greater confidence, and a promo video to share with your friends at church, via email or social media to invite them to join you! As a Bible study leader for many years, I know your time is valuable, and I’ve tried to make everything as SIMPLE as possible! You can also download a free Leader’s Guide along with a Deeper Discoveries Packet to give you additional background information while leading! Hearing how God uses the incredible story of Acts to bless my sisters and brothers lights me up! Our God is alive and at work in and through His people: The Unexplainable Church! Reading reviews like the one below tells me that God’s Word is ALIVE and working in the hearts and lives of His followers!!  Erica Wiggenhorn’s first Bible study, An Unexplainable Life, is by far my favorite Bible study. It truly did change my life and develop within me a desire to know the Word better and to live unexplainable lives like those we see in the first chapters of Acts as the church began its initial expansion. The Unexplainable Church picks up right where An Unexplainable Life left off, covering Acts chapters 13-28 in a 10-week study that can be done alone or in a small group. There are many reasons I have come to love Erica Wiggenhorn’s studies. I love the cultural context that she includes to help the reader move from applying the passages strictly to their own life and instead examining how the passage would have applied to the initial readers of the book. Giving these deeper contexts has helped me understand Paul’s other letters as well! Learning about the cultural beliefs and practices of Phillipi, Galatia, and Corinth in this study help the reader to better understand Phillipians, Galatians, and 1st and 2nd Corinthians later in the New Testament. The study is divided into 10 sessions of 5 studies each, which means there is grace to miss two days a week and not fall behind! Each day’s study can be done in 30 minutes or so, depending on how in depth you’d like to study the passage. Aesthetically, the study itself is beautiful, carrying the blue watercolor theme of An Unexplainable Life throughout its pages as well. I don’t give that high of a rating often, but both The Unexplainable Church and An Unexplainable Life are such fantastic, in-depth studies that are challenging and glorifying of the Lord’s Word! I cannot recommend them highly enough! Here are links for additional reviews of An Unexplainable Life: Recovering the Wonder and Devotion of the Early Church or The Unexplainable Church: Reigniting the Mission of the Early Believers. I cannot thank you enough for sharing this journey with me and being so instrumental in encouraging me to step out in faith with this new DVD series! Praying many are encouraged and encounter our incredible God through the Scriptures.